•Instant Access; get your iPhone fast when it rings/vibrates. •No more dropping, loosing, or forgetting your iPhone. End pocket damage. •Work with your hands as you talk on the phone. •Use on your neck, or purse handle, or on your belt. 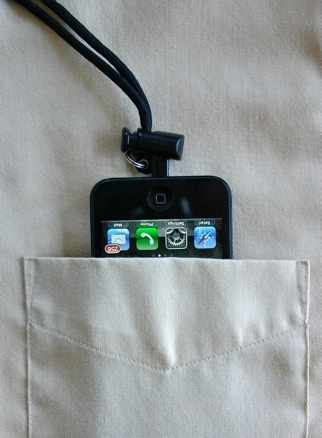 •Easily adjust height of iPhone on lanyard. Easy on/off. •Hide bottom of lanyard in shirt or blouse if you wish. •Adjust height for different outfits. No need to stuff in bra. •Prevent damage from rain, sleet, snow, spray, sand and sweat, with special Raincoat for Holder (optional). See below. •Quick and reliable access in emergencies for seniors and disabled. •Drive safely with hands-free phone use. •Listen to music hands-free as you walk, hike, jog, run, workout at your gym, or solo dance with earphones. Eliminate loose and flopping earphone cords. •Proudly show off your iPhone in all its naked glory (no case needed). •Ride bicycle outdoors safely, listening to music with a separate speaker below each ear (no earphones). 1.Make sure back of iPhone or case is clean and dry. Use some alcohol if needed. An alcohol swab is included. 2.Insert iPhone in case, if using one. 3.Without removing adhesive backing, locate Holder on back of iPhone or case. 4.Make sure tip of Holder (with split ring) is flush with charging port edge of iPhone or case. See photo just above. 5.Remove strip black electrical tape, and place next to back edge of Holder on iPhone or case, to act as temporary aid when attaching adhesive Holder. 6.Remove adhesive backing on Holder and line up with edge of black tape and press down. 8.Allow adhesive to strengthen overnight. See our Complete Directions for Use and Operation. Matching Your Outfit. We include two different lanyards with each iPhone Holder: a short lanyard made of FDA approved clear tubing, and a long lanyard made out of black nylon. Switching lanyards is quick and easy and only takes about 15 seconds. Women often like to wear their iPhone high like a necklace, using the short clear lanyard. This works well with a blouse. Alternatively, they like to wear their iPhone at naval height, using a long lanyard. This works well with a blazer. Men have shirt pockets and usually like to use the long lanyard to keep their iPhone in their shirt pocket. These are just a few suggestions. The clear lanyard is almost invisible, and also makes a good choice for heavy exercising. Comparison. With our product design you can access the charging port while you wear your iPhone on our lanyard. Most importantly, our design enables you to quickly slide your iPhone up and down the lanyard. This feature is essential for most professional, executive, business and student users. 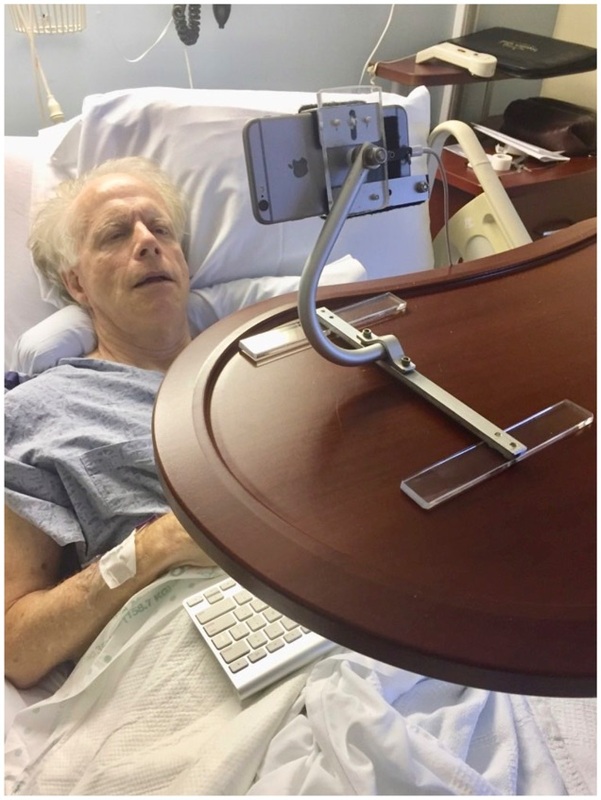 Also, our design centers your iPhone right below your eyes and mouth, for easily speaking into the built in mic and easily viewing the screen. Our design completely avoids armbands. Keys. Add keys to the bottom of the lanyard, if you wish. • Accessibility: arthritis, blindness, wheelchairs, crutches and walkers, etc. No one has ever found fault with this product as regards water (despite some proactive apprehension in the general public). In addition, we offer an unconditional 30 day satisfaction guarantee. Here are some additional points. The industrial adhesive on our Adhesive Holder is very strong. Normally, you have to grab a corner of the Adhesive Holder with a pair of pliers to pull it off, and this will only work if you use considerable force. The adhesive works by gaining strength overnight, just after it has been applied. Be sure to give the adhesive this amount of time before using it. The adhesive is so strong that it effectively creates a watertight seal with a hard case. Never remove and then reuse an Adhesive Holder. It is meant for just one application. We believe you can feel confident in proceeding with your purchase. Protection. 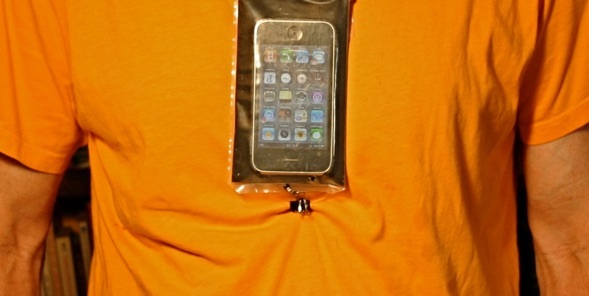 A specially made bag called the iPhone Holder Raincoat is Optional. This bag slips onto your iPhone and Holder when in use. It will protect your iPhone from water, sleet, hail, snow, and sweat when walking or running outside, or working out at the gym. 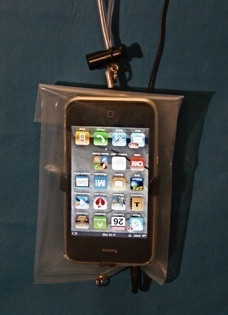 This bag will also protect your iPhone from sand at the beach, or spray on a boat (or dishwashing). When not in use, this special bag stays folded in half in your wallet or purse. 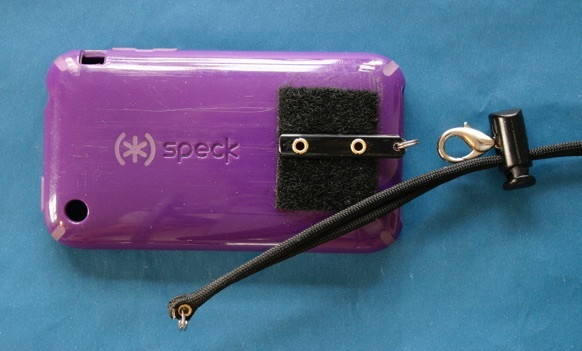 It is made of heavy duty industrial clear plastic with eyeleted Velcro fasteners (see photos above). View your iPhone screen and control the screen from outside this clear bag. A very small hole in the bag is provided for the earphone plug. This bag is excellent protection. Cost each $6.00 plus $2.00 shipping anywhere in USA or the rest of the world. (Not for iPhone case. However, it will also work with an iPod Touch Case and Adhesive Holder). 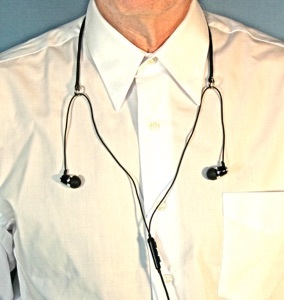 We Provide Both a Black Nylon Neck Strap and a Clear Tubing Neck Strap (FDA Approved). Switch Quickly & Easily. Learn How This Product Works With The Description Below. Free Shipping on 2nd-6th Holder ordered at same time. Learn more in description below. Prevent Swing and Bounce. 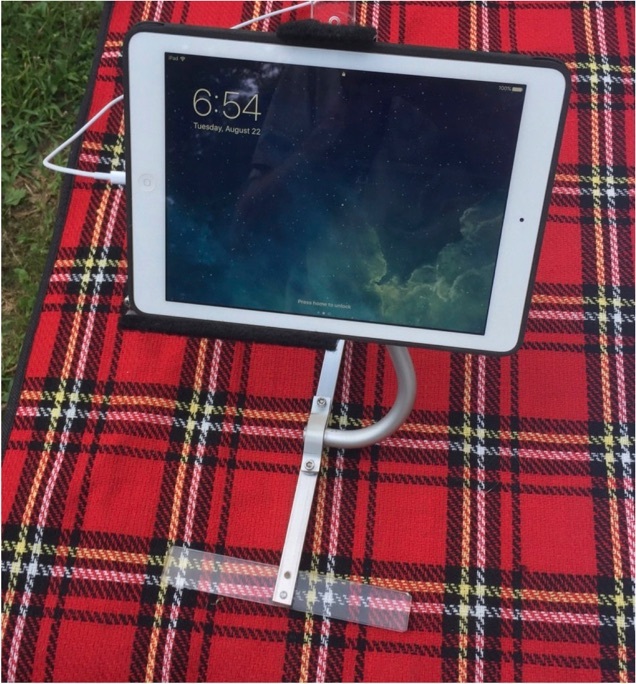 You may also wish to use our optional Stabilizer to prevent your iPhone and neck lanyard from swinging left and right and to prevent it from bouncing or flopping forward and back. 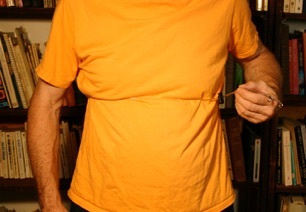 A small Clamp holds invisible Chest Strap worn under shirt (see pictures below). This item is for serious exercise (walking, hiking, jogging, running, bicycling, cross country skiing, canoeing, boating, solo dancing with earphones, and working out at your gym). Furthermore, with your iPhone and lanyard stabilized, the problem of a swinging electronic device in the pocket of your running shorts is completely eliminated. In addition, this Stabilizer will prevent chaffed skin on long distance runs due to bouncing T shirts. The Stabilizer consists of an adjustable, invisible chest strap (clear tubing) and our iPhone Raincoat with a special clamp at the bottom. Learn more at Stabilizer. 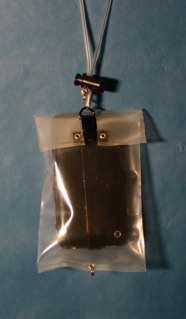 Protective bag (Raincoat) shown clamped to invisible chest strap. No swinging or flopping. Locating and Adjusting the Chest Strap (wear this strap under T shirt). Eliminate Earphone Tangles. A separate Earphone Holder is also optional. This device integrates your earphones for tangle-free use and storage, and keeps your earphones ready for use when you are wearing them. iPod Touch. 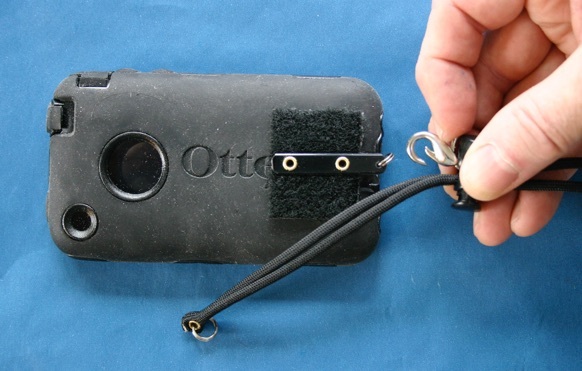 We make our Adjustable Lanyard and Holder for the iPod Touch or Case. 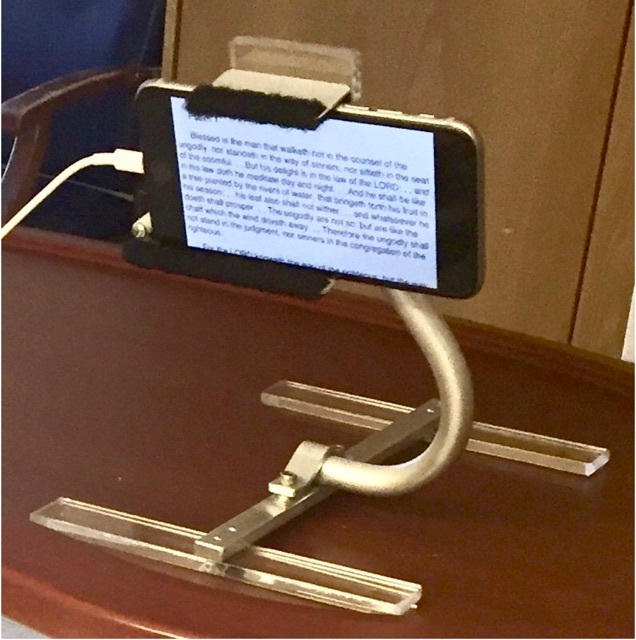 Learn more at iPod Touch Holder. 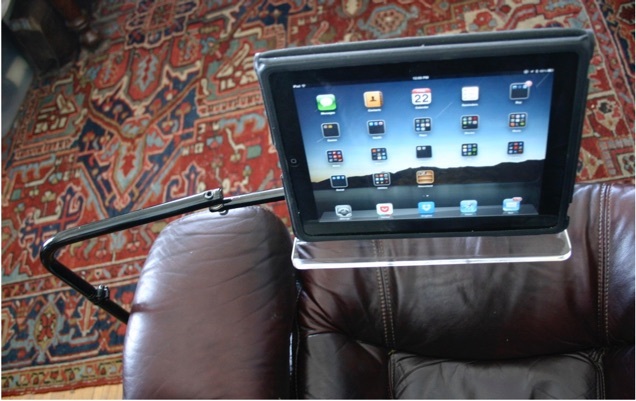 Read in Arm Chair, Bed or Sofa with iPad/iPhone Floor Stand.